If you’ve ever cycled before (outdoors or in a class), you know what a workout it can be. But, if you’re serious about kick starting your weight loss and/or fitness goals, make sure to implement cycling into your workout. The benefits go on and on—so keep reading to learn all about it! Are you bored with your usual run-of-the-mill cardio workout, and ready to change things up? Do you want to blast fat and tone your quads and core? Ready to boost your endurance like never before? If you have the discipline to challenge yourself with a cycling class just two times a week, you’ll be able to maximize your performance (and weight loss) in just a few shorts weeks. 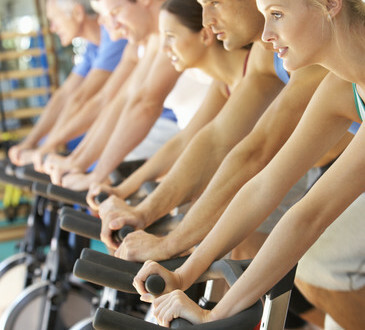 Bonus tip: elevate your heart rate by cycling in intervals of speed and strength. 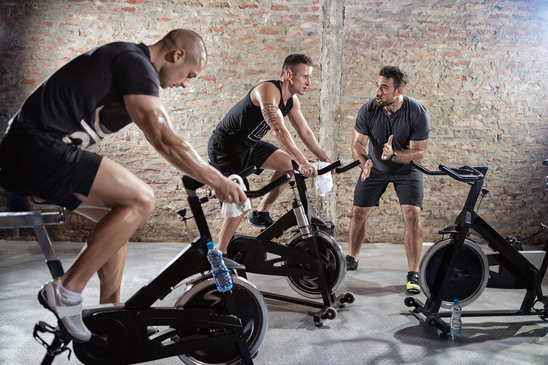 Start off with sixty seconds of speed (go as fast as you can at a moderate resistance level), then stand on your bike, up your resistance to the max and pedal at a slower but tougher pace for 60-90 seconds. Then repeat! You’ll burn fat, and get stronger in no time at all! While any form of cardio has multiple benefits, there comes a risk of high impact strain on the joints. When you cycle, you’re taking a majority of the risk off of joint pain and injury because it’s easy on your joints! Cycling is a fantastic form of exercise for anyone who is recovering from an injury, or has suffered from a past injury from years before. Cycle at a pace and with a resistance that is comfortable for you, and as your limbs strengthen, adjust the resistance accordingly! 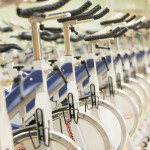 If you’ve ever been to a cycling class, then you may know there are several variations of these classes you can take: long distance cycling (which usually takes about an hour from start to finish), or a high intensity Sprint class (30 minutes). Take either class and you’ll increase your resistance throughout. When you downward pedal, you activate the quads, the gluts, and the calves. When you climb uphill, you activate the flexor muscles in the front of your hips and your hamstring muscles. No matter what your fitness level is, you can continue to challenge yourself as you strengthen and tone over time (just keep cranking up that resistance!) A great workout, but a challenging one, it can allow you to get in shape in no time at all!